I Me My: Taiye Selasi Explores the Afropolitan Identity in "Ghana Must Go"
Taiye Selasi Explores the Afropolitan Identity in "Ghana Must Go"
Taiye Selasi’s novel “Ghana Must Go” tells an engrossing story, but one that is complexly told. The characters are delectable, and grow on the reader, even those that make some out of character choices. The setting shifts from Accra to Lagos to Boston, and it is distracting at times, but each one is beautifully nuanced by the lyrical quality of Selasi’s writing. The plot is so compactly woven between the unexpected death and the funeral of a family member. It is between these two events that the story unfolds as Selasi takes the reader across continents to experience an emotional roller coaster that leaves the reader in complete awe of what the characters in the story have undergone. A writer of mixed heritage, Ghanian and Nigerian, Selasi calls several places ‘home’, and in this debut novel of hers, she explores her hybridized Afropolitan identity through the Sai family saga of separation. Like Selasi herself, the Sais straddle between cultures, Nigerian, Ghanian, American, and while they appear to maintain a fair balance, they are unable to delineate one culture from the other. Like in Isabel Allende’s biography ‘My Invented Country’, the Sais carry their ‘home’ in their immigrant hearts, and manage to put down roots in new places, though at a cost, one that is not visible to an outsider. Their immigrant experience is about being able to reinvent a home far away from home. However, as depicted in the novel, this reinvention, could likely become an overused phenomenon that allows an immigrant to pack up and leave, just like that, even the most involved of lives, only to begin another. However, there is an interesting distinction Ms. Selasi makes between first generation immigrants and their progenies. The first generation immigrant has acquired an ease with which he can leave and walk out of a setting. He ‘knows how to leave’; his immigrant identity has made him embrace his rootlessness, a trait he’s acquired in order to survive the harrowing immigrant experience. However, his progeny do not share this trait, and they do not understand it either. Consequently, when a family member, or a dear one, abandons them, as is in the novel, they struggle to come to terms with this illogical and near apathetic behavior. In an interview, when Selasi was asked about what drives her to write, she claimed, History and Geography have oversimplified and made generic the African experience, and that she wanted to undo that by lending subjectivity and individuality to the challenges and accomplishments of each of the characters in her novel. Which writer of fiction does not do that? History and Geography, by definition, require collective documenting of a people and of a region; whereas fiction, by nature, focuses on individuals pitted against unique circumstances and settings. For example, Sophocles’, the Greek playwright, presents a defiant young princess challenging a powerful monarch in the play Antigone, but Herodotus, a historian from the same time period as Sophocles, could not possibly have done that! What he did do was to document the fact that Sparta was a better City State for women than was Athens. Sophocles’ work of fiction showcased the status of women of Ancient Greece through a defiant Antigone, just as Selasi's “Ghana Must Go” will illustrate the Afropolitan identity through members of the Sai family. Selasi's claim, though ambitious, is noteworthy, and the African diaspora will be the richer if this young writer lives up to her claim. 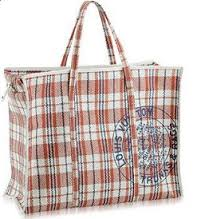 The title of the novel is intriguing no doubt, and forces the reader to research Ghana Nigeria relations, and in some cases may get the reader to buy one of the “Ghana Must Go” bags, available online, that do NOT support a noble cause. 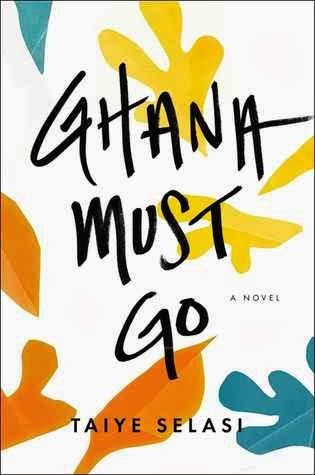 Without a doubt, Ghana Must Go is making waves as a debut novel; it has won Taiye Selasi, of the African diaspora, the Best Young British Novelist award in 2013, and it appears to me there will be many more such. Diaspora writings are gaining momentum speedily in a global world! Cheers to that! Hi, do you have an email address I can contact you on? Thanks and have a great day! Thanks for visiting my blog. What is this about?